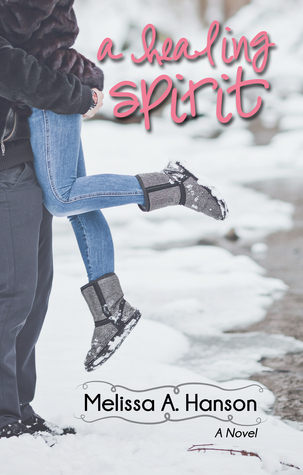 "A Healing Spirit" is book 2 of the Riverview Series, however each is a standalone story. This is the second book in the Riverview series and it can be read as a stand-alone. I did not read book one, and I must confess, this is my first time reading Melissa Hanson's work. Based on the title I was expecting an emotional read, and it did not disappoint. A Healing Spirit is a story of unconditional love that will engage all your emotions and leave you craving for more. I enjoyed reading about all the characters. The character development was good. Their portrayal made it easy for me to understand their thoughts, feelings, and actions. The story was told from several points of views, which some readers may find confusing. However, I enjoy it when I am able to see the story unfold through the character's eyes. I liked how the main characters, Dylan, and Mia related to each other. Their dialogue was intense and amusing at times. It was evident that they had a connection from the moment they laid eyes on each other, even though the circumstances under which they met was sad and frightening. Despite their connection, Dylan's past was proving to be a deterrent. He feared that if he were to reveal things about his past, Mia would not want to be with him. However, he need not worry as she was not judgemental. Mia is sweet, understanding, loyal, outgoing and stubborn. It was these traits that aided in breaking down the barriers that Dylan had built up through the years. I liked that she wanted to use her accident to help raise awareness about the safety issues surrounding chair lifts. In doing this, she found her purpose. Dylan and Mia were perfect for each other. He is compassionate, understanding and loyal. He was the complete opposite of the thing he feared most, that of becoming like his father. The story is solid and easy to follow. I was hooked from the start, and I could not wait to see how it would unfold. There were moments when I was on the edge of my seat. The story touched on the sensitive issue of spousal abuse. I may not have first-hand experience with abuse, but based on the stories I have heard it is my belief that the author handled this aspect of the story quite well. A Healing Spirit had several themes which readers will be able to identify with. It is a story about finding love under the saddest of circumstances. It depicts how one can use a painful experience to bring hope to others. It shows that letting go of the pain from our past will lead to healing and allow us to find happiness. If you are looking for a romance that is not only sweet and clean but will engage your emotions then look no further. A Healing Spirit will provide you with all that and more.